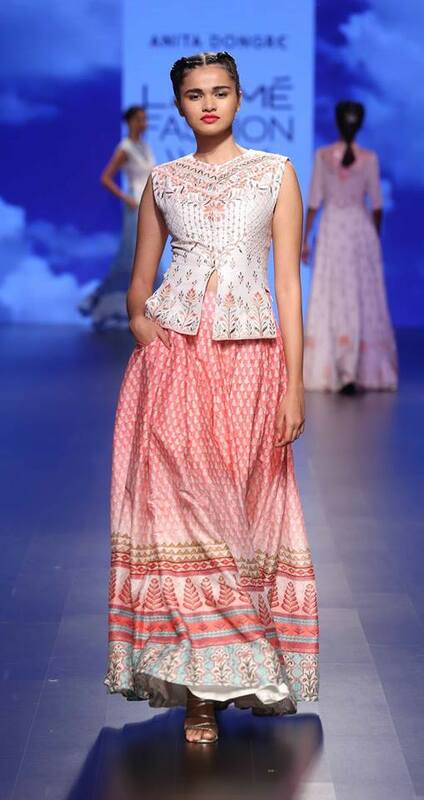 I have always been a fan of Anita Dongre's creations especially her use of gota patti and breezy grassroots line. 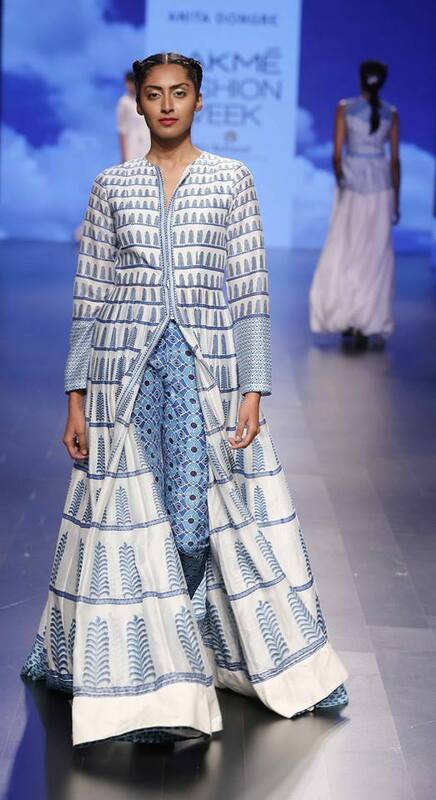 At Lakme Fashion week this year Anita However stayed away from gota patti and presented a collection high on prints and silk. 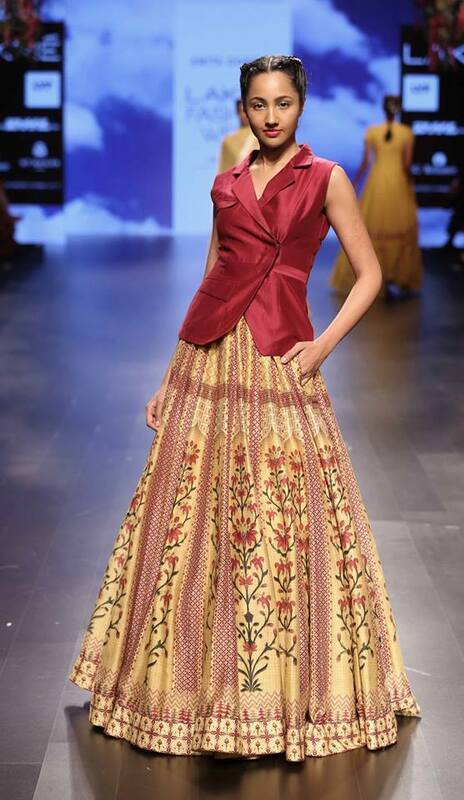 Her collection titled 'Love notes' is minimalistic and perfect for the bride who wants light weight ensembles especially for ceremonies like sangeet and mehendi. 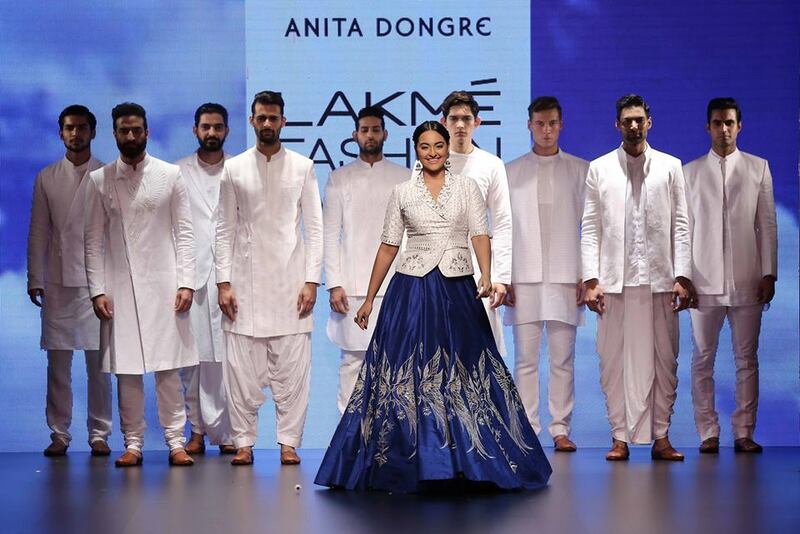 Anita dongres collection at Lakme Fashion Week Summer Resort 2016 had a lot of draped ensembles, printed silk lehengas, front slit long kurtas, mens kurtas and more. The colour pallet was mainly pinks, yellow, blues and white. 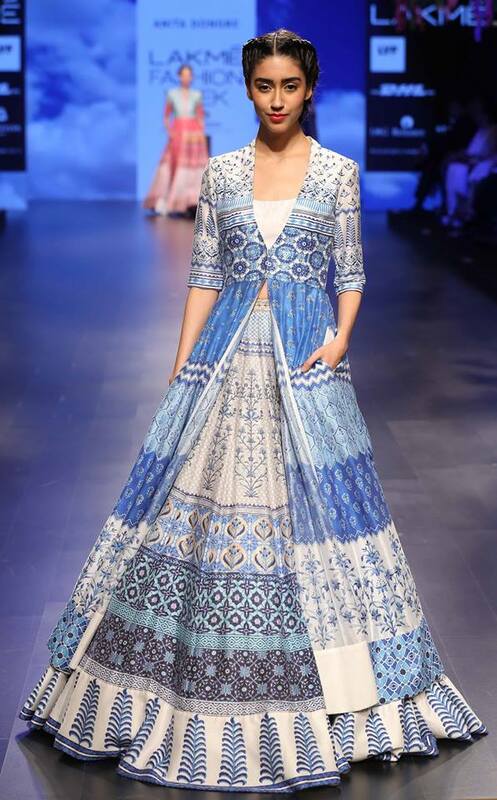 My favourite pieces from the collection were the blues and whites perfect for summer . 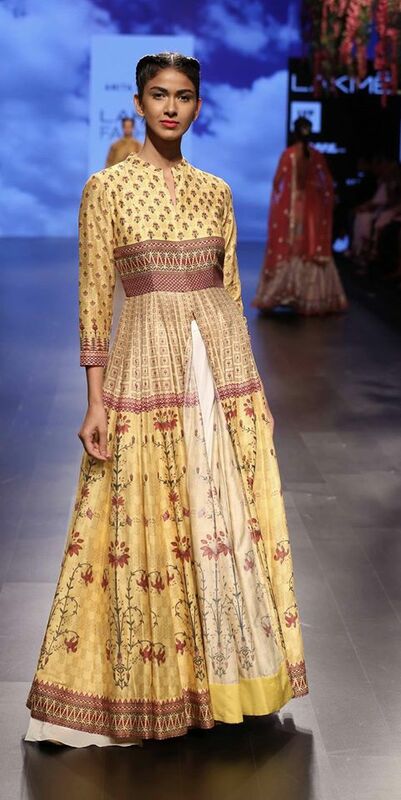 I love these floor length kurtas with a slit in front, sophisticated chic. 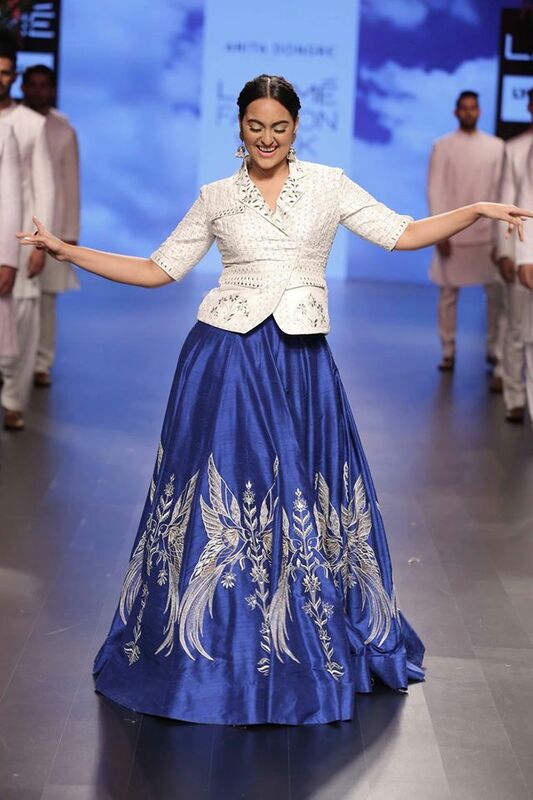 Sonakshi Sinha walked as a show stopper for Anita Dongre wearing a plue lehenga with white top. She seemed to have a lot of fun walking the ramp and enjoyed every bit of her show stopper duty. 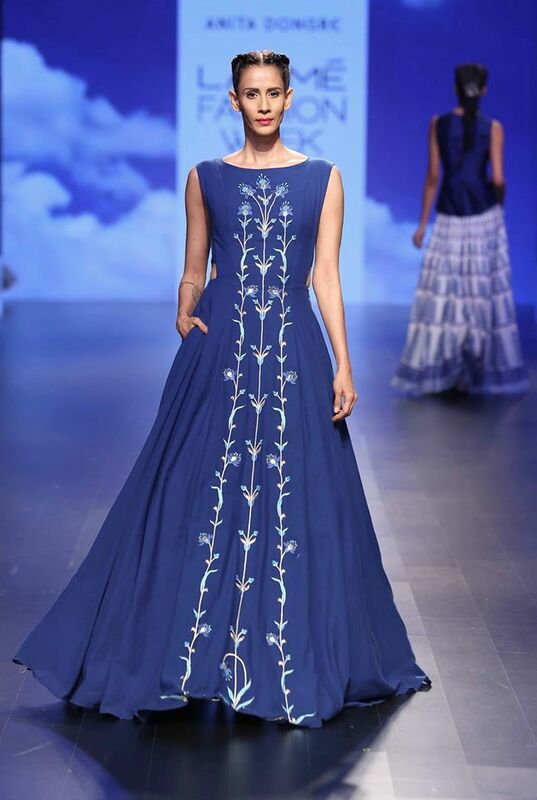 Which piece Anita Dongre's collection do you like the most?